Hello all friends of Art. … Final closing of this Season means: the conservation of prim based 3D art is done. The time capsule VULCANICUS closed. It´s time to thank the contributors. So it is a happy time and a chance to see it all on January 30th. We made it! And I can start to work on a book about it! 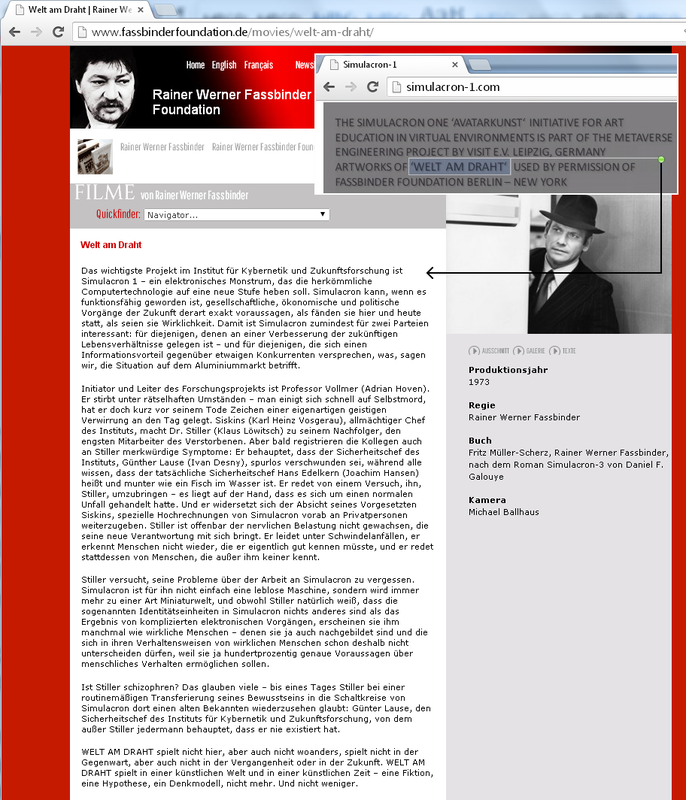 Maybe I call it ‘Simulacron-1, a travel into artinformatics’ [Simulacron-1, eine Reise in die Kunstinformatik]. About 50 artists will be mentioned. Each with 1 – 4 pictures. Three artists moved ‘over the boundaries of VULCANICUS’: Gem Preiz, Navah Dreams and JadeYu Fhang. They created a full word, a full region, a full sim. You will see it with your own eyes by visiting it on Thursday. 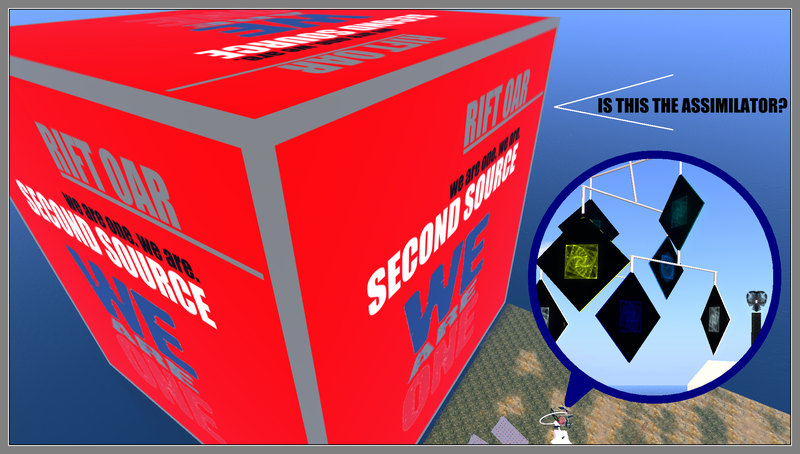 This brings me to my next idea of a virtual biennial where each contributor gets a full sim to create a full world. But this is not the place to talk about this. I never made a kickstarter project for myself. I was always ‘a baker’ giving money to others. Last year I co-financed: A photobook of Burning Man, Wall on Wall, Son of Nor. For Son of Nor I developed a NCP [Non Playing Character named ‘Ervare’] and added an idea to the game: ‘The Gate of Nor‘. 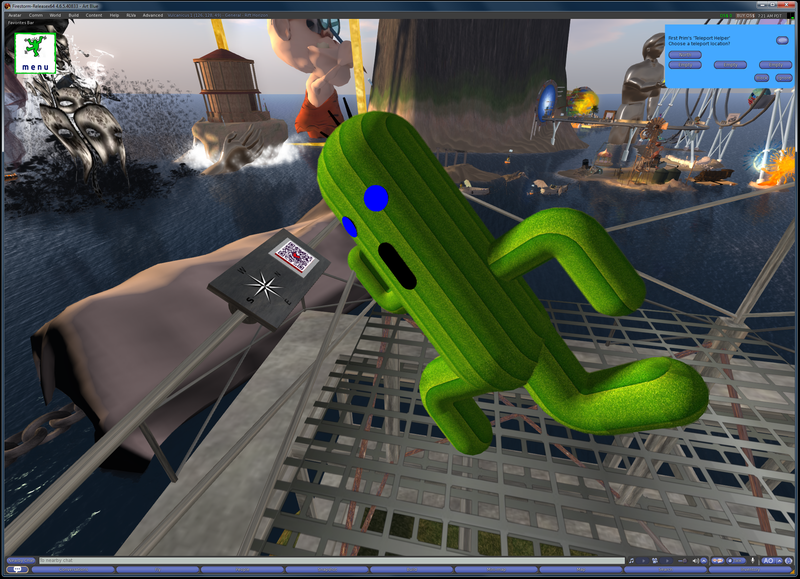 Ervare points out from the game to an opensimulator world of art. It will come on the market in summer 2014. In Wall on Wall we tested if it is realy working to stear a game without mouse and keyboard, just by an headset scanning human brain waves. Some of you know I left ‘hard business’ behind and work now ‘for the arts’ – Digital Art of course. In other areas of art I am not more qualified as many others. To combine art and technology for now over 40 years gives me a chance to make some technological breakthroughs ‘visual’ that have never been explored so far. I use for it the term Hypergrid.Network. With the help of some friends there is reasonable progress. 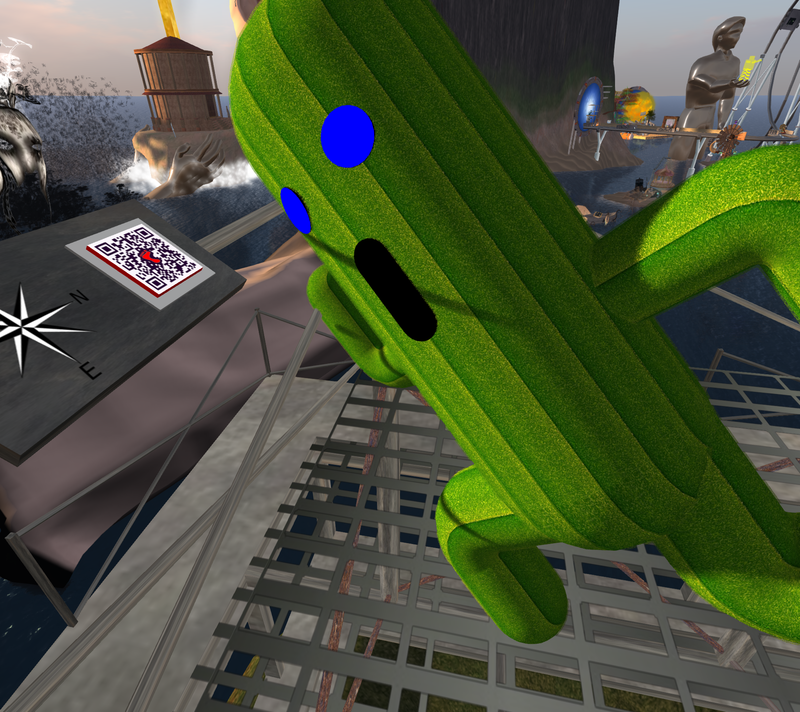 VULCANICUS is a project I am very happy about how it went und finally got to run as a ‘time capsule of 3D prim based art’. Thank you all. One helper I have to name foremost: Daniel, 25 years old, who studied in my lab to become an software engineer six years ago. Now he completes his BSc at the University of Applied Sciences in Berlin. Luckily this study runs on a shared time concept so I will have access on him for one more year. The next research project with Daniel, starting in July, will extend the focus to user [public] interaction systems, web-integration and from the technological part it will also focus ‘robust services’. The new focus will bring interactivity which we have already developend a little, calling it ‘liquid vote‘, to a new level. 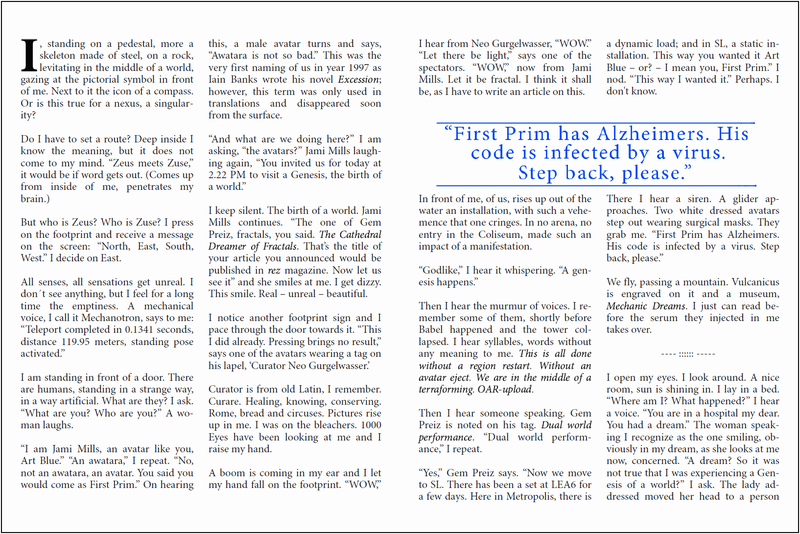 Also I am happy to have more time to write some short stories where art and avatars are in the middle. 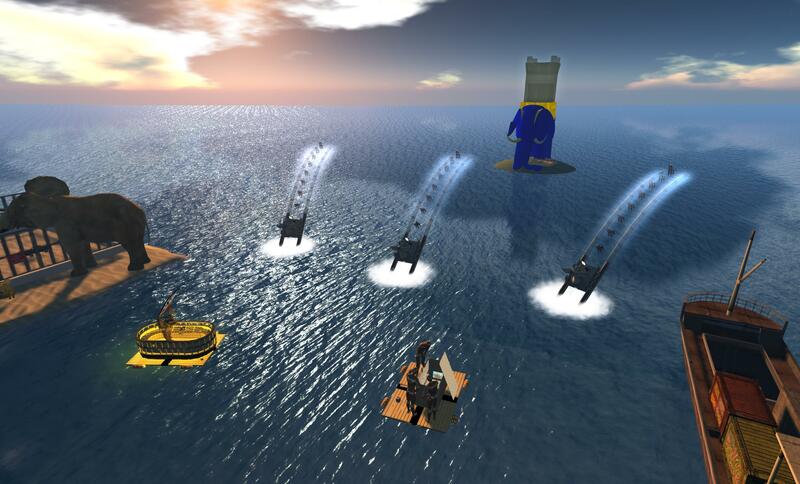 I may do again some ‘theatre’ performances as I did in the past as there are intelligent bots coming up in opensimulator … when anyone wants to take part and play a role, send me a note. 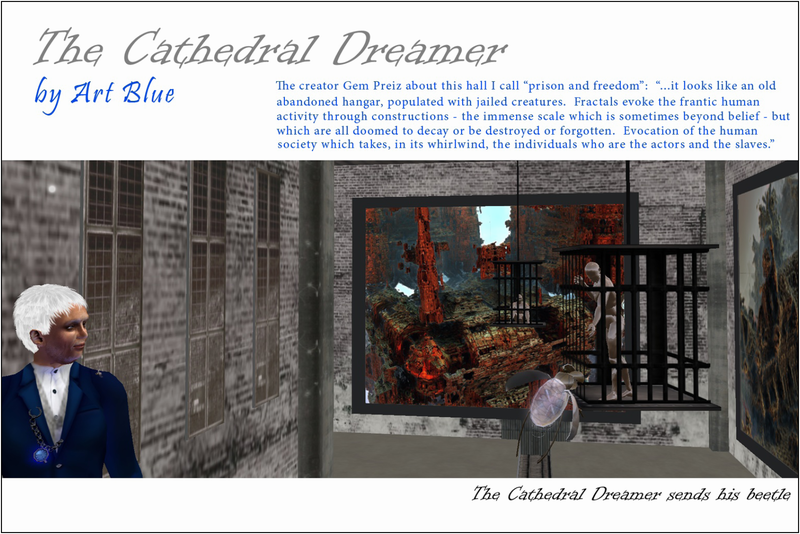 Art Blue in SL or in Metropolis is an easy way. 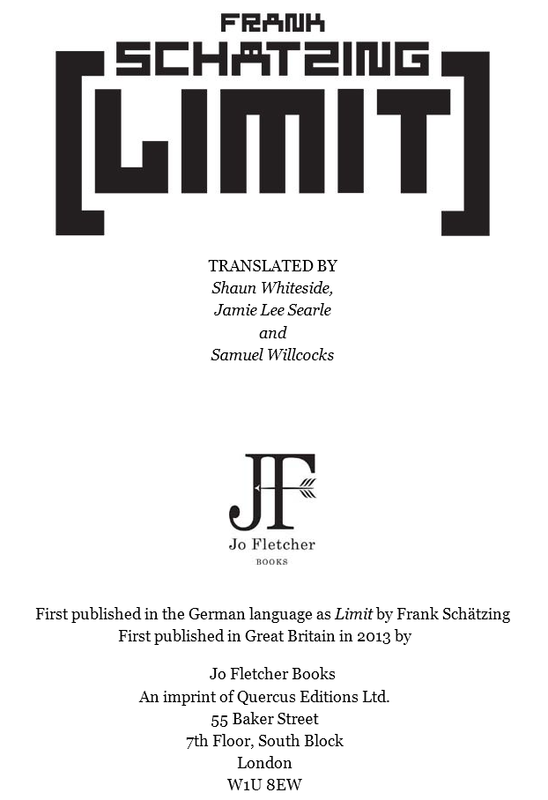 The book will have also the links where one can download the software needed to run a ‘self made world’ and show how to set ‘a hyperlink to an open grid’. VULCANICUS is made this way. 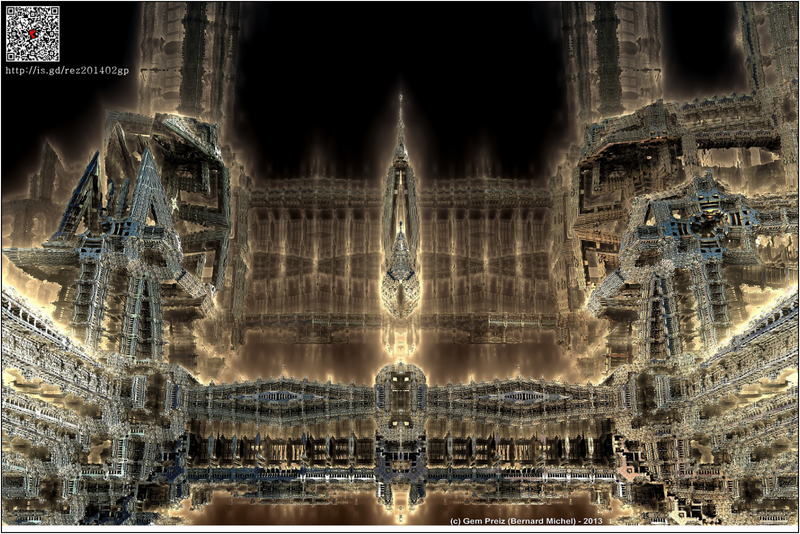 When you visit VULCANICUS via Metropolis you enter ‘the art grid VULCANICUS’. For the user it looks like staying all the time in the Metropolis grid. 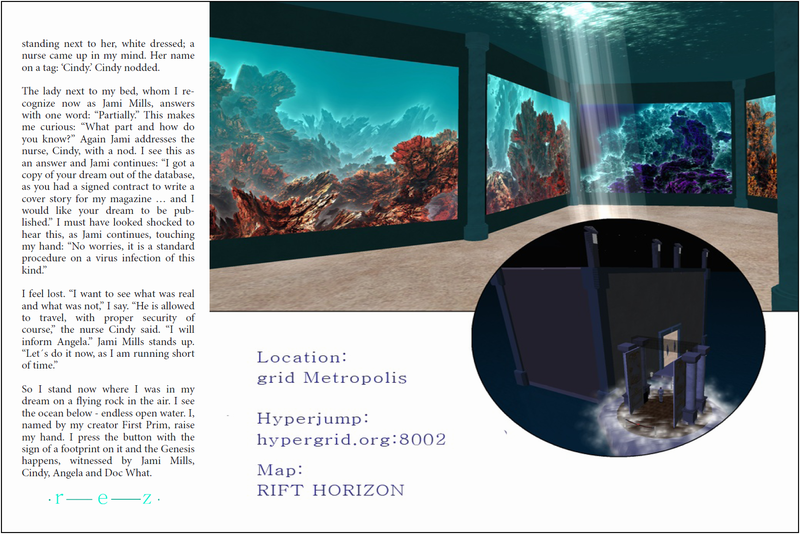 Enjoy the art performance and exhibition on Thursday, January 30, 2014, 22.00 CET [=1.00 PM PDT] at RIFT HORIZON in grid Metropolis. 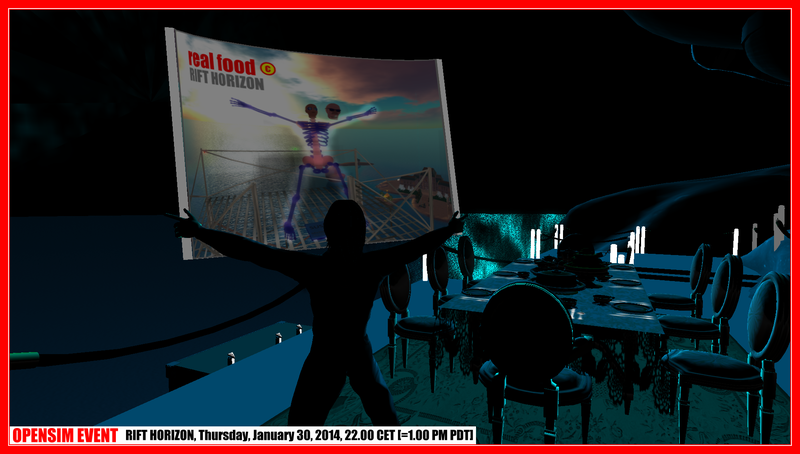 This is my posting in Facebook on Tuesday, January 28: Make virtual REAL. See how Phantom gets Solid. Two days to go. An art exhibition with JadeYu Fhang, Gem Preiz, Aurora Mycano Insl, Exy [Sean Lennon], Gainaned Franciso di Cremona. Kitchen by Michio Funaki. Presented by Art Blue as Zaphod Beeblebrox. Sponsored by SR Hadden. Michio Funaki is the name of a cook at the ‘Moon Restaurant’ in the novel LIMIT. Zaphod Beeblebrox is a charakter in Douglas Adams books ‘The Hitchhiker’s Guide to the Galaxy’ and ‘The Restaurant at the End of the Universe’ I like much – so much that when you Google for ‘TRATEOTU’ you will find me and a restaurant in Saxony – I designed the website some years ago. Next tip: SR Hadden. Of course it must be Science Fiction again. You find him in a second. He is the mentor of a dreamer: Judie Foster is playing the dreamer … you know the end of this movie: the video tape running and nothing on it to see, just to believe the time counter.